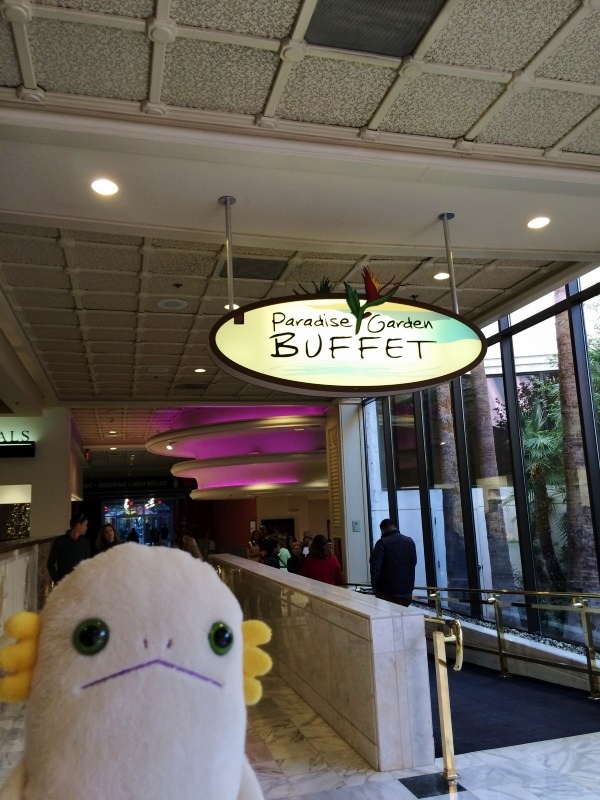 Buffet is a must in Vegas. Many hotels have their buffet restaurants. 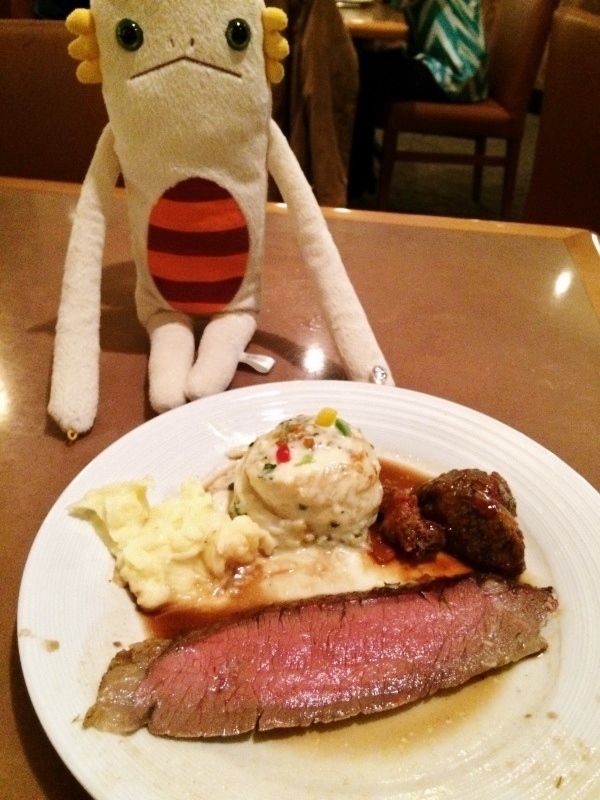 Alien saw long wait lines at some hotels during meal times. 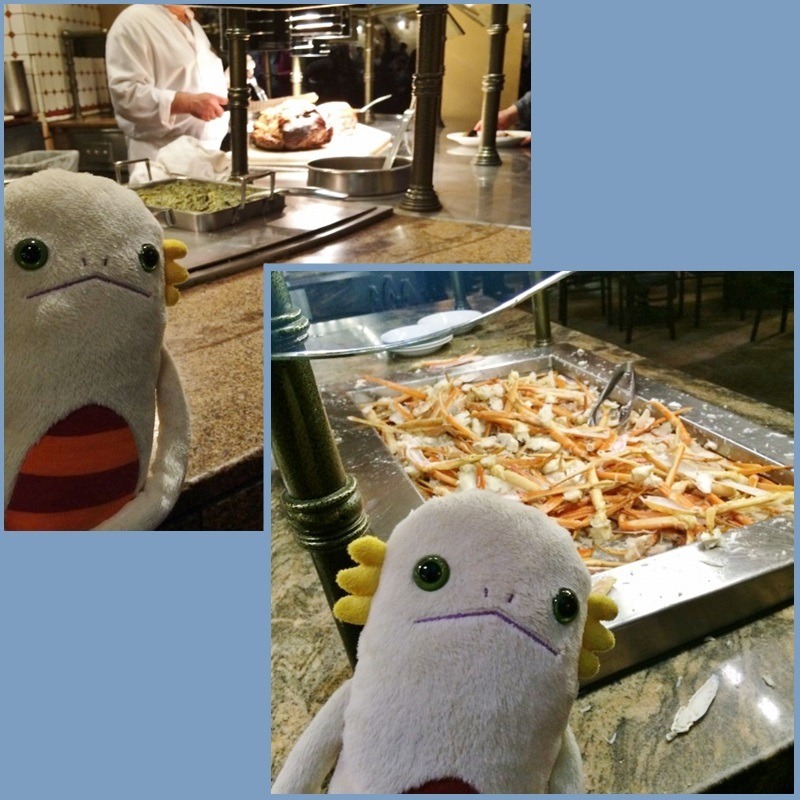 Alien tried Buffet of Buffets! 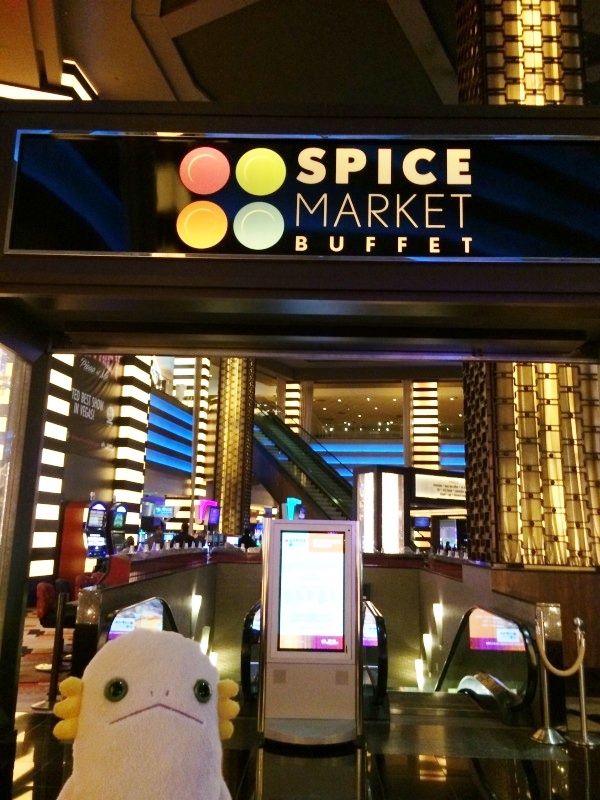 For $54.99, you can buy a pass, which gives you unlimited access to five buffets (seven if you upgrade) for 24 hours. You may be able to have three or four meals (or more) with this pass! That's crazy and very Vegas. Alien recommend to be a Total Reward member (free). Members can use their membership cards as buffet passes. You must wear a paper entrance wristband for 24 hours if you don't have a membercard. No shower and pool for 24 hours! Alien could buy a pass at a buffet's entrance. Don't forget your ID. They offer a small discount for Total Reward members. Well, let's start Alien's report. This will be a long entry. 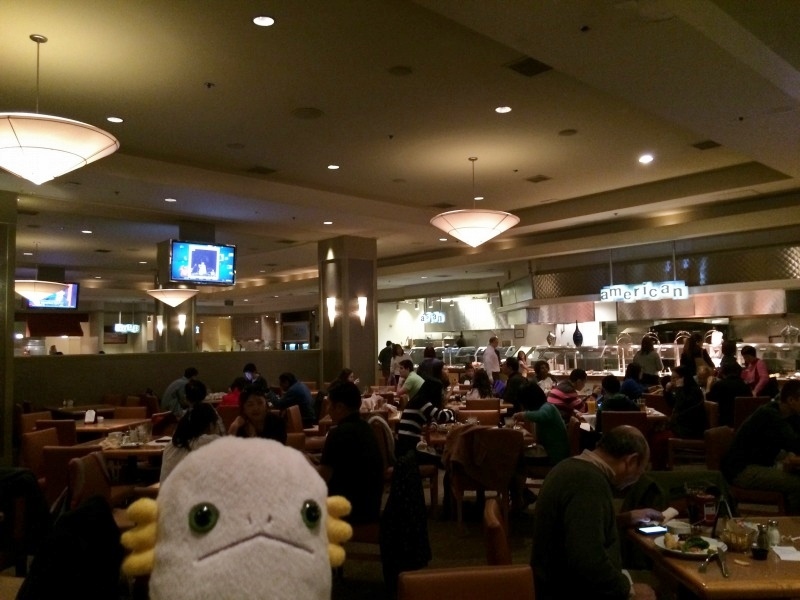 Alien gave stars (up to five ★s) and a breif review at the begining of each buffet's report. 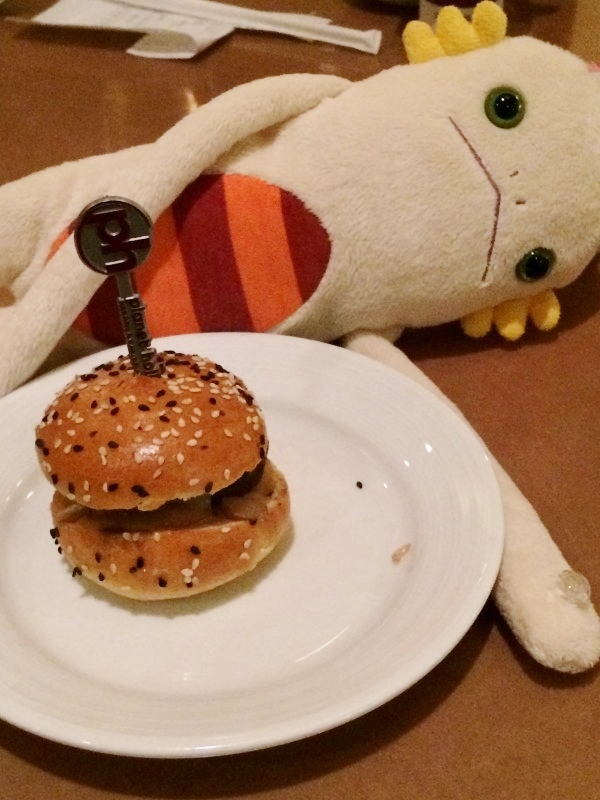 Alien's review: They have a great variety of dishes. This place would be good if you want to enjoy various kinds of foods. Qualty of each food was okay. Alien liked their desserts. Not too sweet. This place was large but busy. So many customers even in off-season. Alien ordered drink (soft drinks included in buffet). 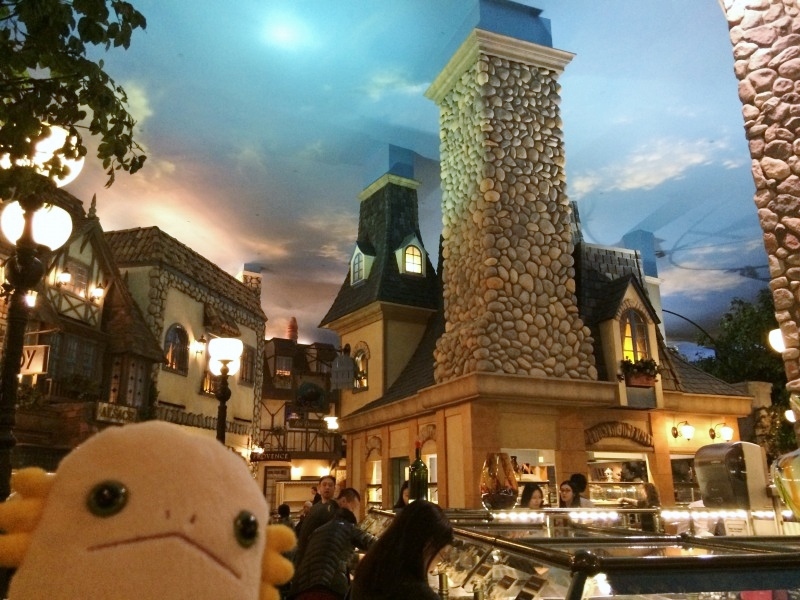 Let's go to see foods! It is hard to pick! 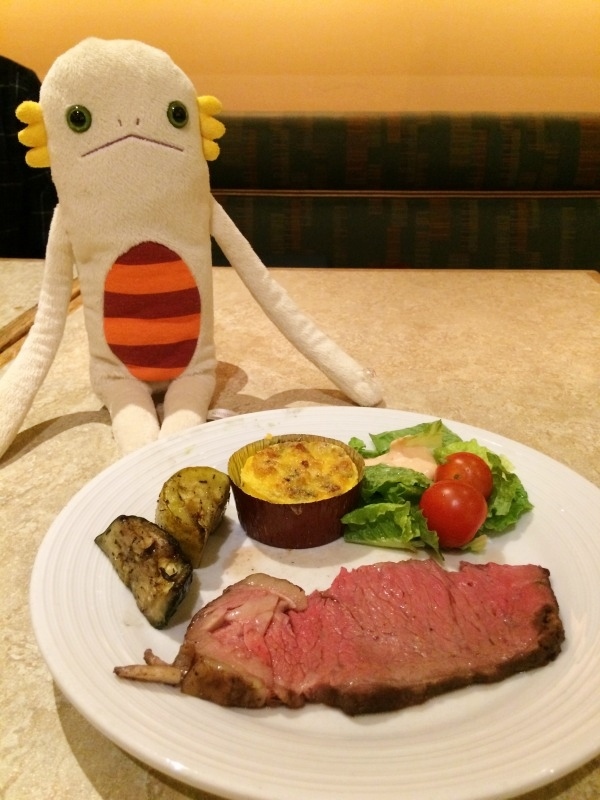 Alien first had a slice of beef steak at the curving station. A chef served it for Alien. American lean beef. Alien enjoyed meaty flavor. 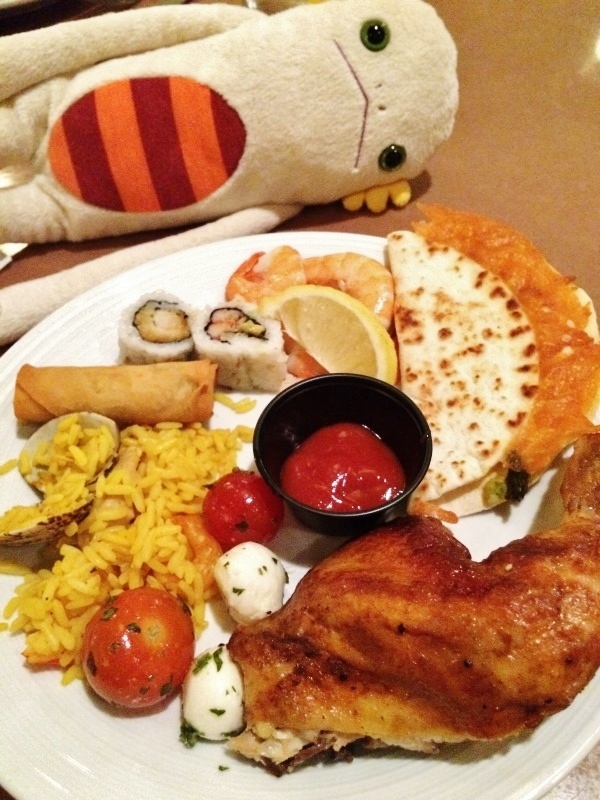 This buffet offers so many differnt kinds of foods, including Mexican, Chinese, Seafoods, Middle Easten, and Italian. 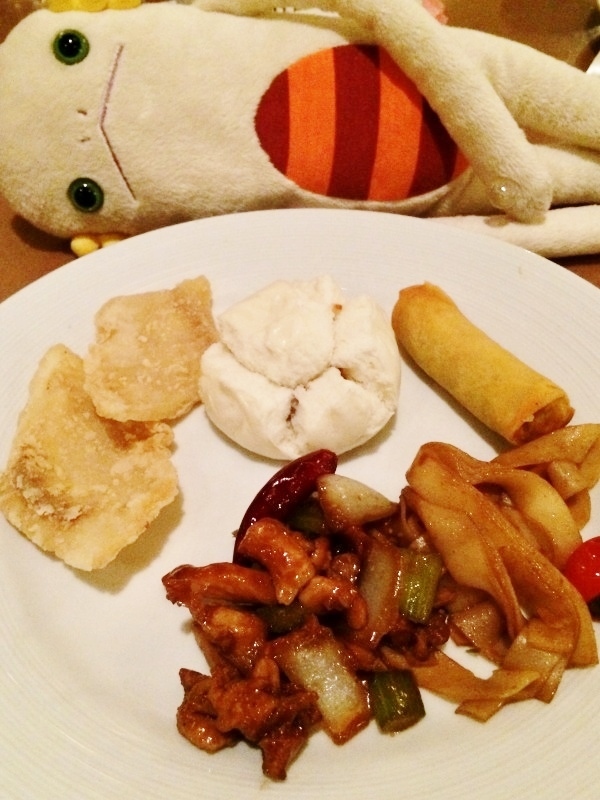 Alien wanted to eat more Chinese foods. Alien could enjoy many kinds. Each one tasted okay. The buns were nice and crisp, but the patty was dry. 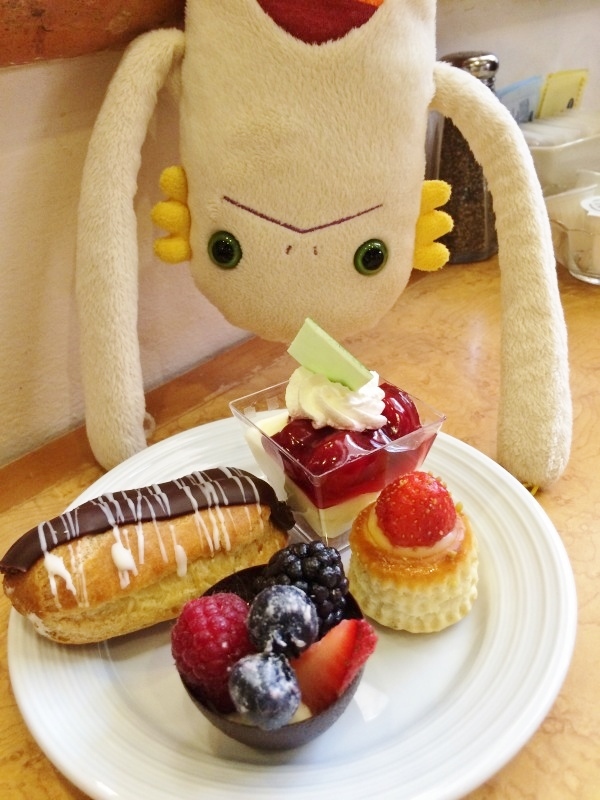 And, Alien never forget desserts! Wow they even have a soft serve ice cream machine. They have so many kinds of desserts. 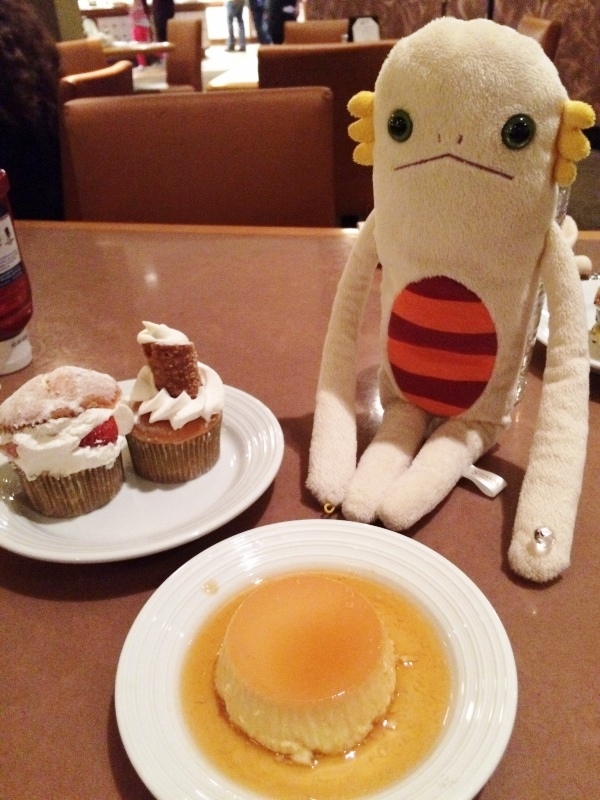 Alien can't try them all... Alien picked two capcakes and a custard pudding. All were not too sweet (as American desserts). Yum yum. Alien's review: Alien enjoyed foods from each province of France. Alien loved quality of each food here, although this place wouldn't be the best for those who want to try many kinds of internatioanl foods. They have crab legs during dinner time. 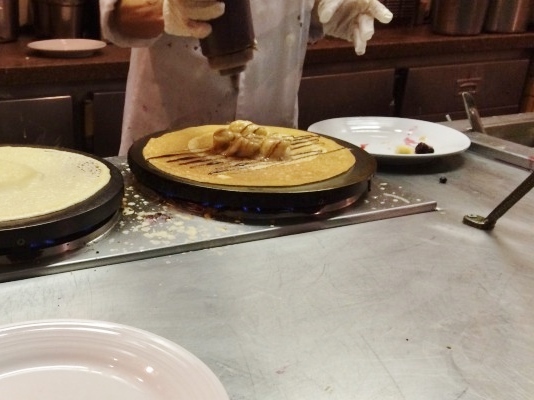 You can have a made-to-order crepes. 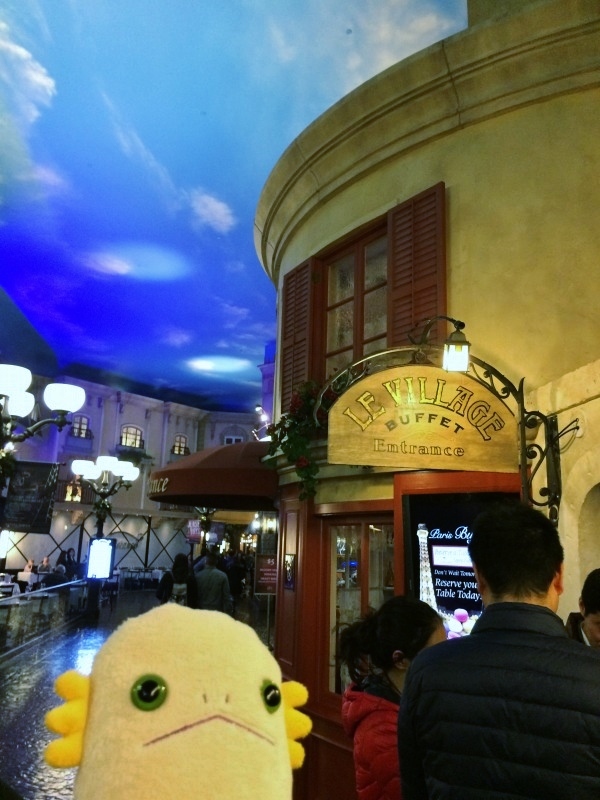 There would be a long wait line for a crepe, but the crepe is fresh, warm, very yummy, and worth for wating! They also have a plenty of yummy desserts. You must wait to enter but the quality is promising. Alien went there before dinner time, but there was already a long wait line. Alien waited about 30 minutes. Alien skipped some groups because Alien was alone. Big parties were waiting longer. 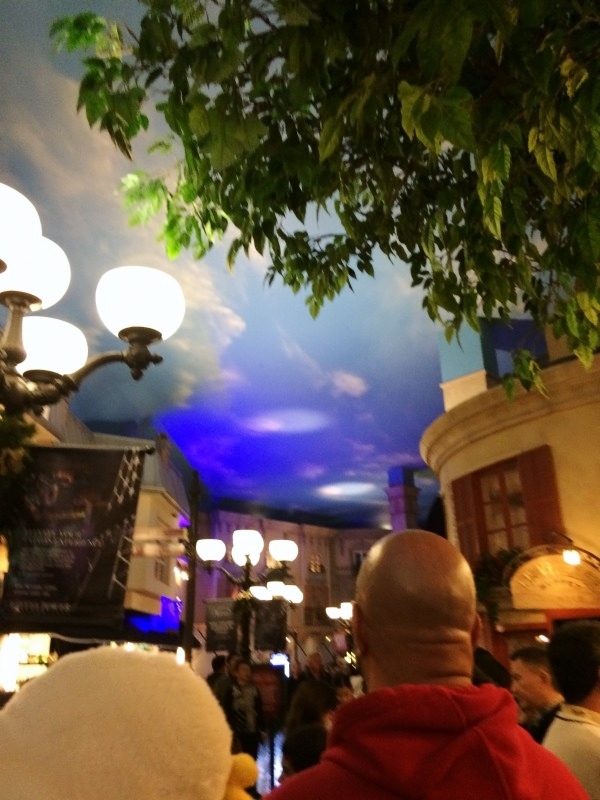 Blue sky inside the building. So many kinds of French dishes. 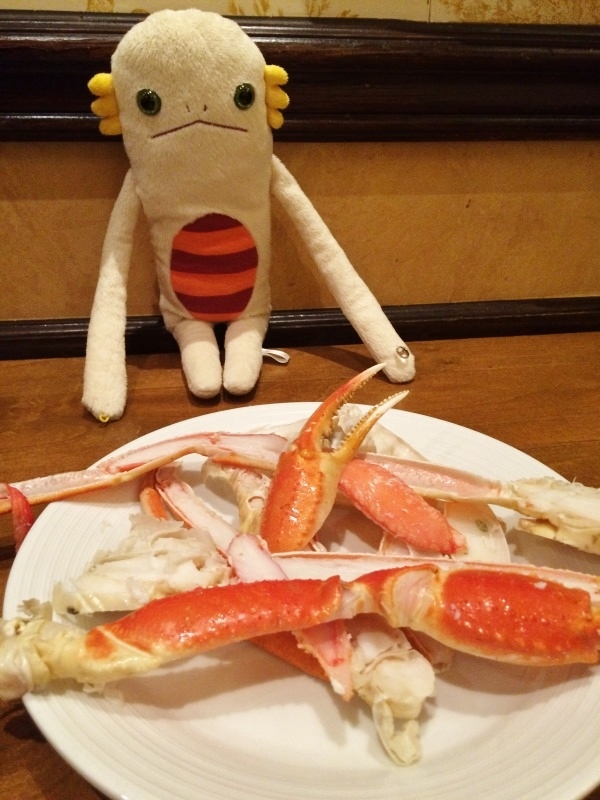 Alien first had crab legs. The legs were cut nicely. Easy to eat. Thick crab meats, finely salted. 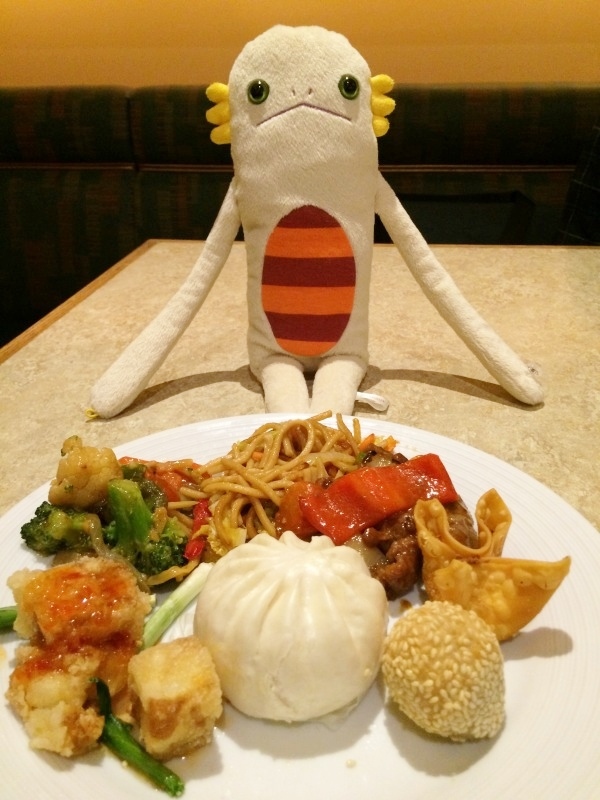 Alien can't believe this is all-you-can eat. Yum yum. Beef steak and roast beef, both were at the curving station. Both were very yummy. 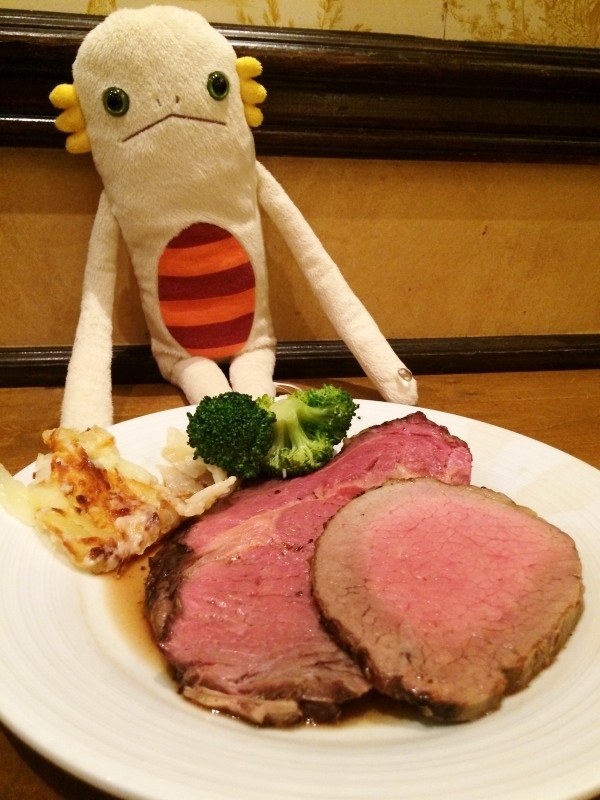 Alien especially loved the juicy steak. 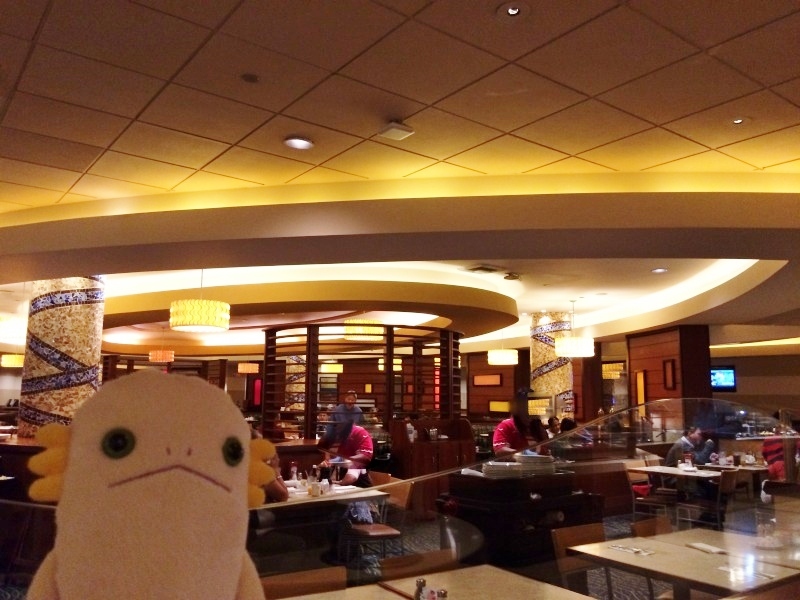 Alien can't believe this is also all-you-can-eat. Thick clam meats! The sauces weren't too oily and yum yum. 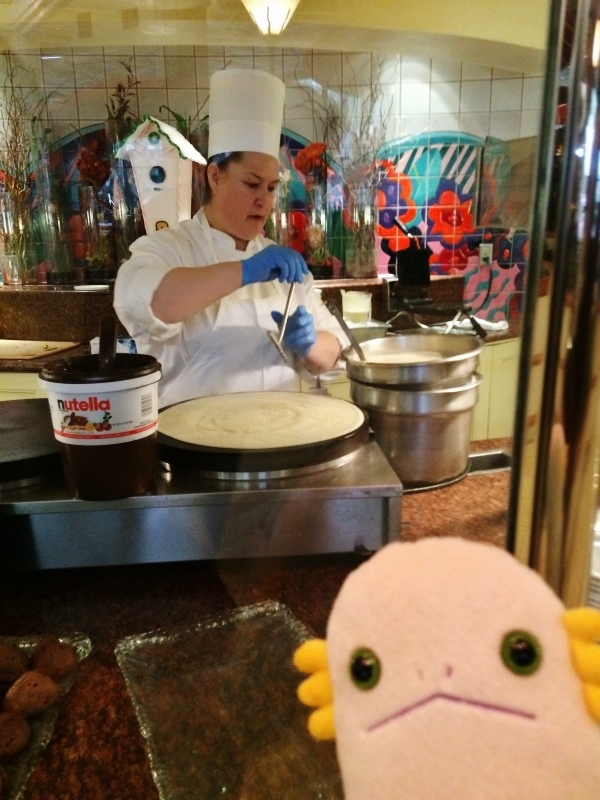 This is the crepe station, the must in this buffet! There was a long wait line...but Alien didn't give up. 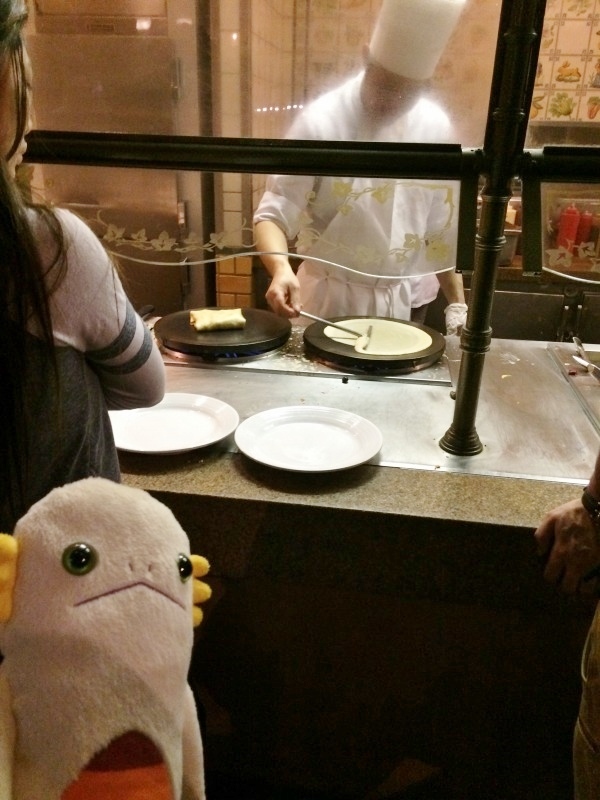 Alien waited for about 30 minutes for a crepe. 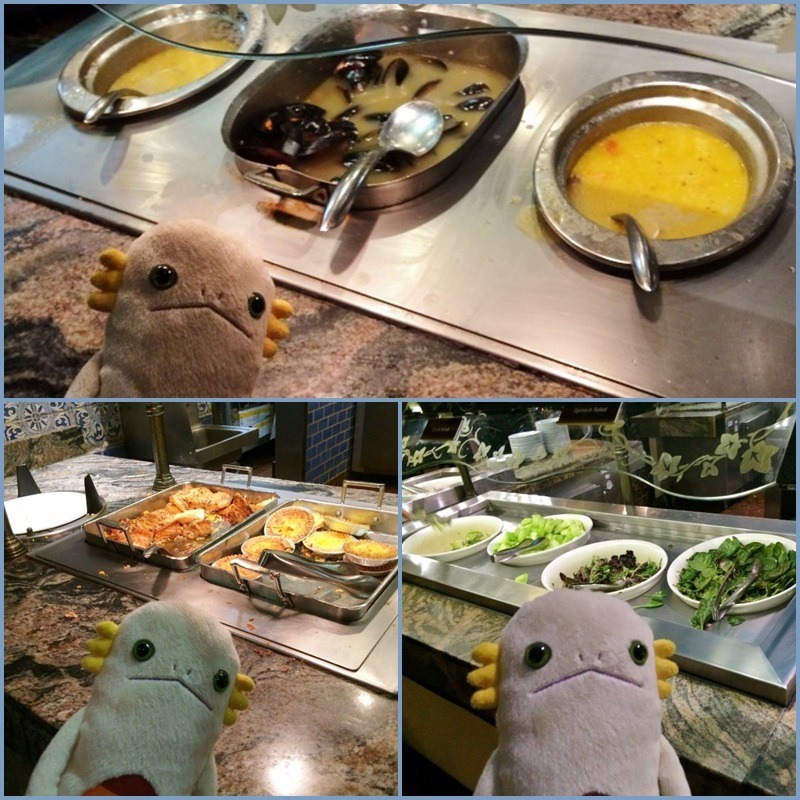 There were many choices, both in dessert and savory crepes. 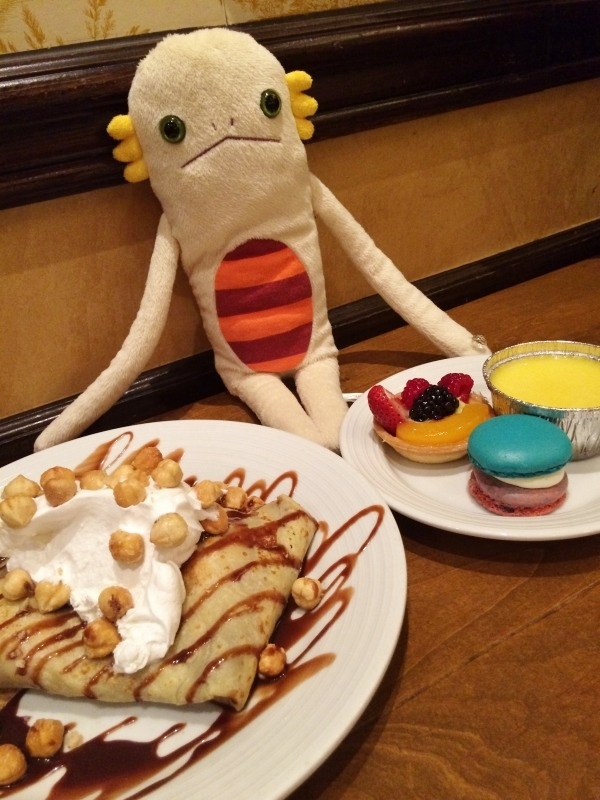 Alien picked banana nutella crepe with whip cream. Bananas were sweetly sauteed and melty, great combination with the crepe, nutella, and whip cream. Yum yum yum! 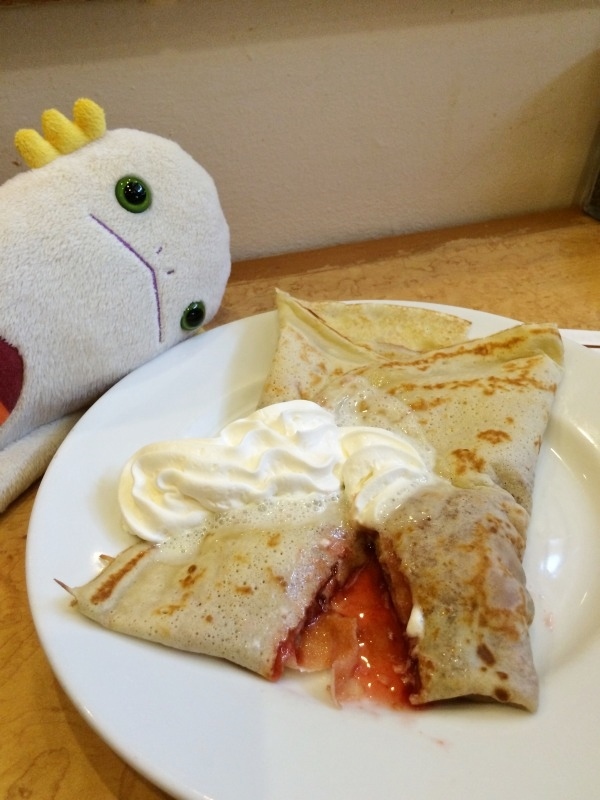 The crepe was thick and moist. 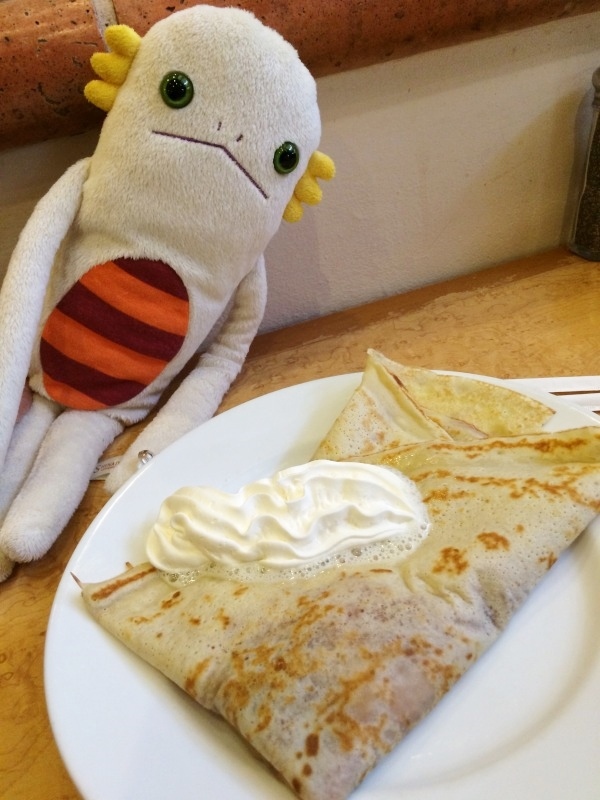 It was a huge crepe but Alien could finish it easily. 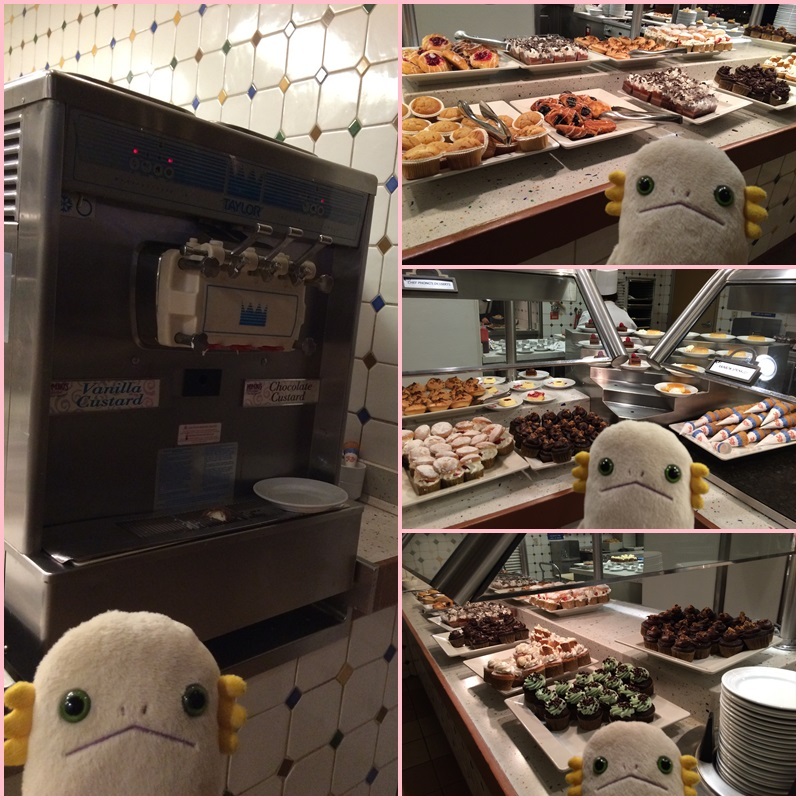 Other than crepes, they have many yummy desserts! 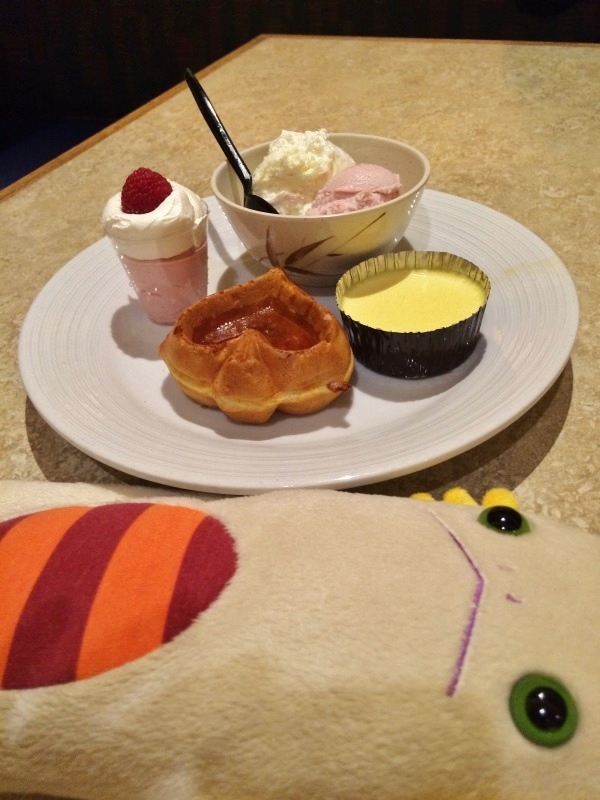 Alien had a custard pudding, a fruit tart, and a macarron. Each one was not too sweet and sophisticated. 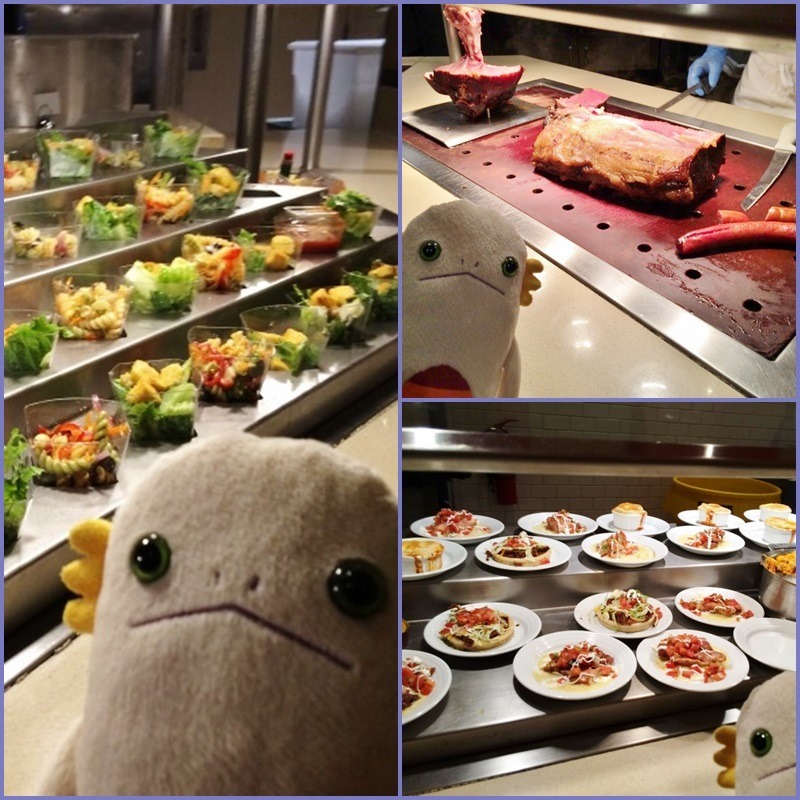 Again, Alien can't believe they are all-you-can-eat! Alien was very happy. 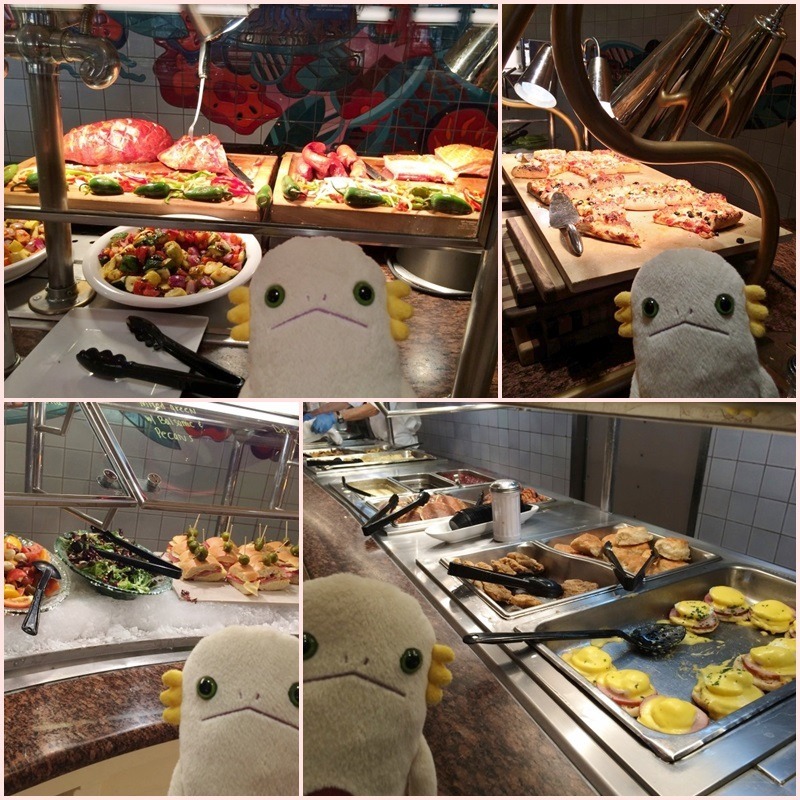 Only 8 hours has passed since Alien started Buffet of Buffets. Alien's buffet tour continues tomorrow. 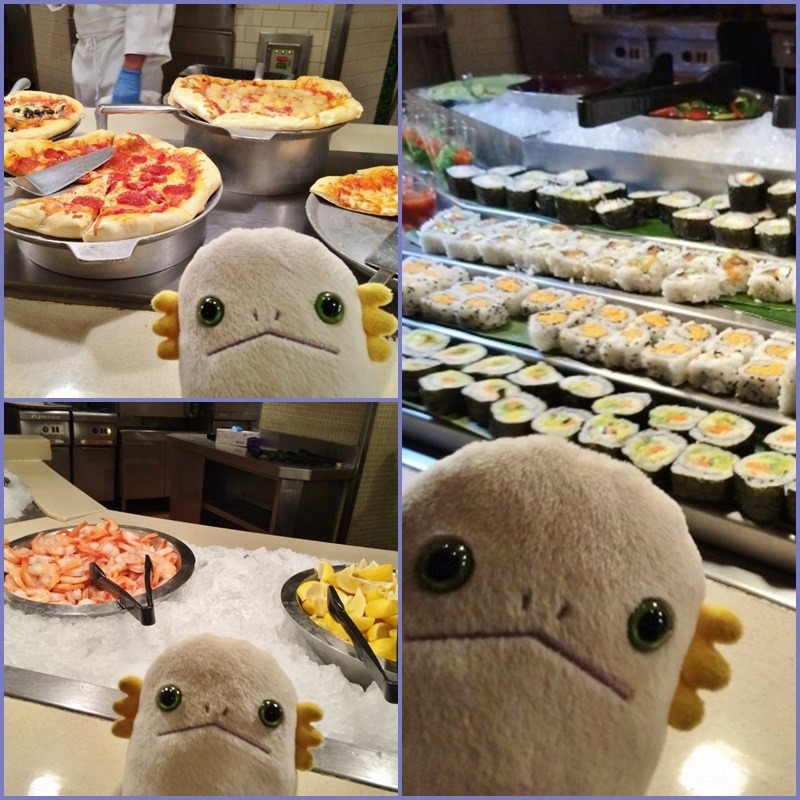 Alien's review: They don't have so many kinds of foods. Their foods are mostly standard American. Quality of each food is fairly high. If you want to have a good American-food buffet, this place is great. 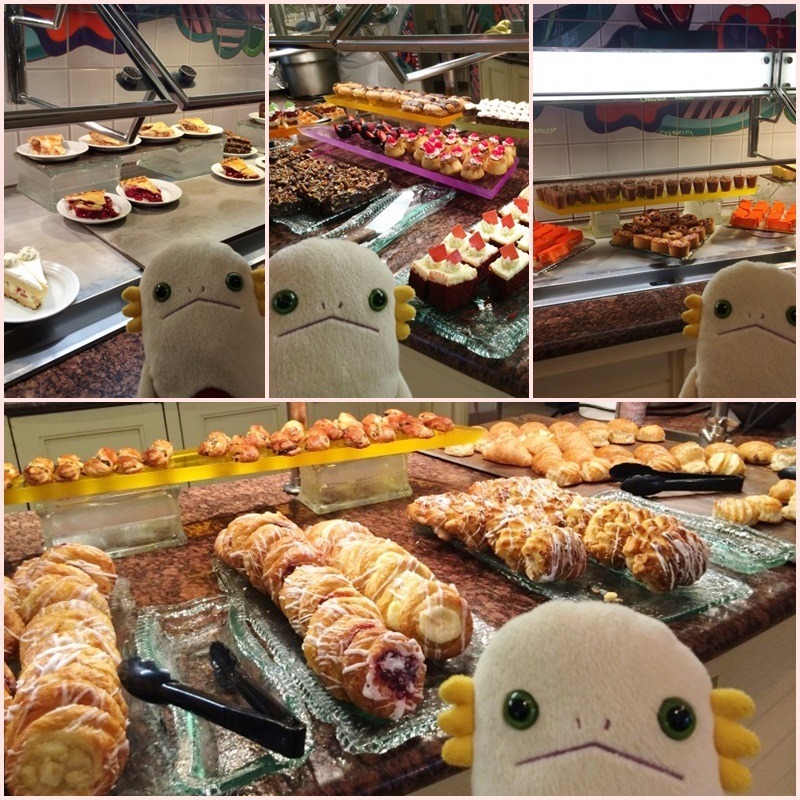 They have a large dessert station with good cakes and pastries. They even have sugar-free desserts. Alien came here for an early breakfast. 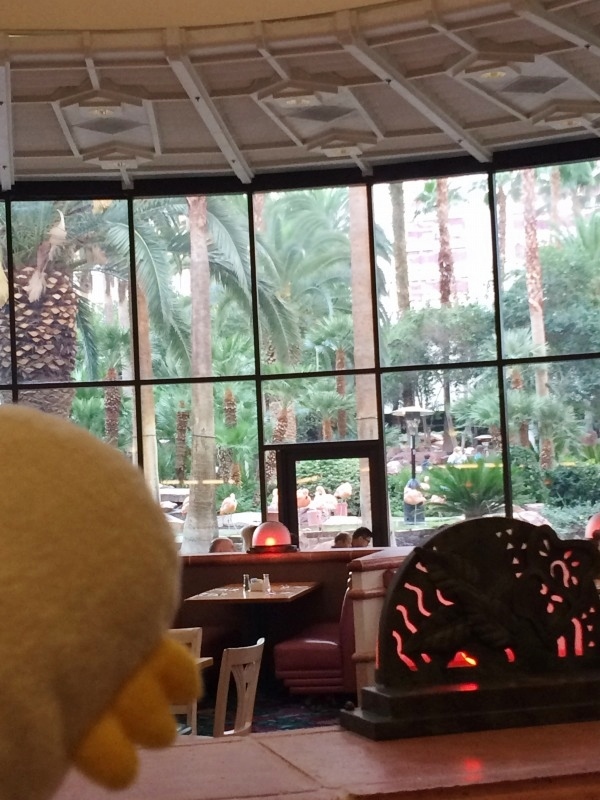 It wasn't crowded, probably becuase it was morning in Vegas. Alien could see flamingos in the garden. This buffet has more open space than other buffetts. Nice. Nothing was very unique, but each one looks yummy. 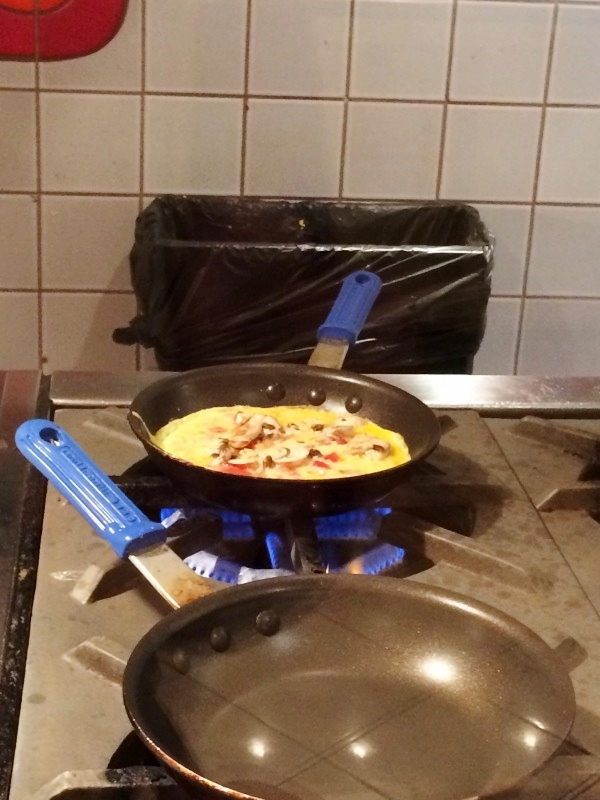 Alien had a made-to-order omelette. Alien had too much toppings. 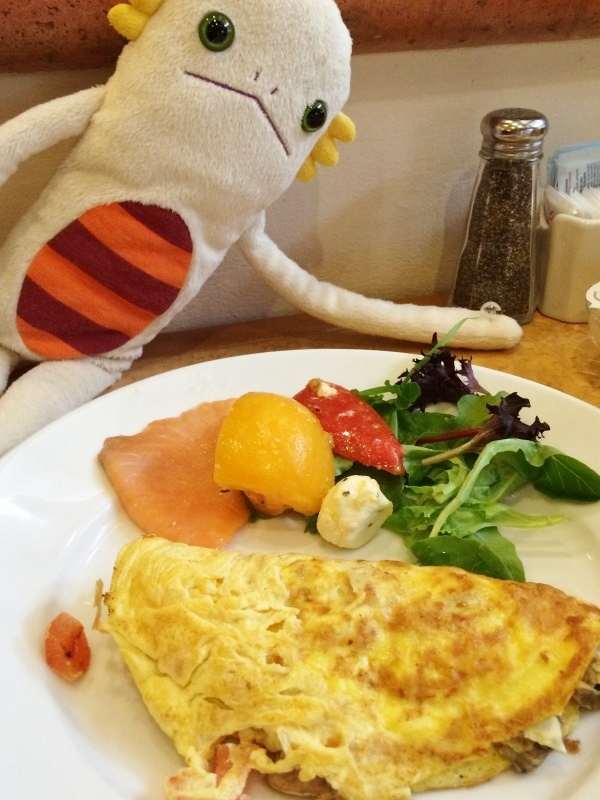 It was yum, but Alien prefer softer-cooked eggs. The salad and smoke salmon were yummy as expected. Alien got a ham at their curving station. They do great job on the traditional American foods. Alien never forget desserets, even in breakfast! 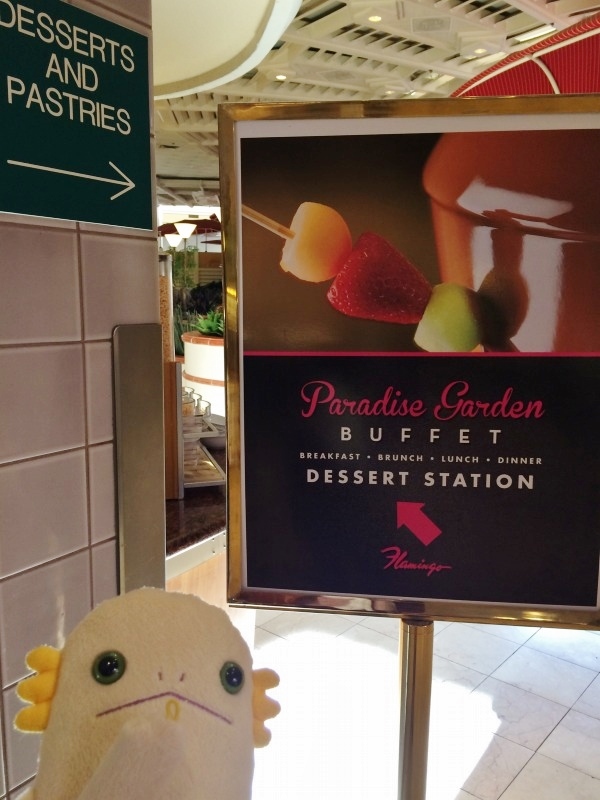 The dessert station is located behind this sign. Don't miss it. 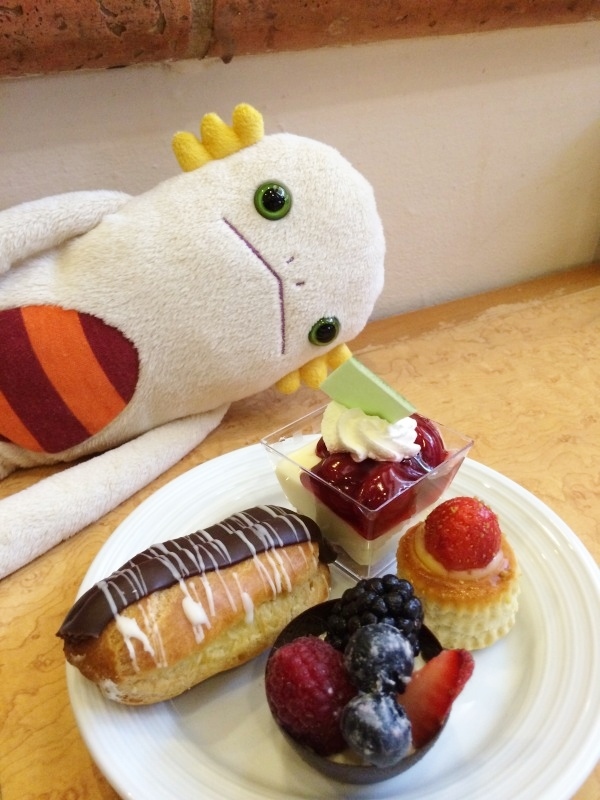 Alien was surprised by the variety of desserts there. Oh, they also have a crepe station. 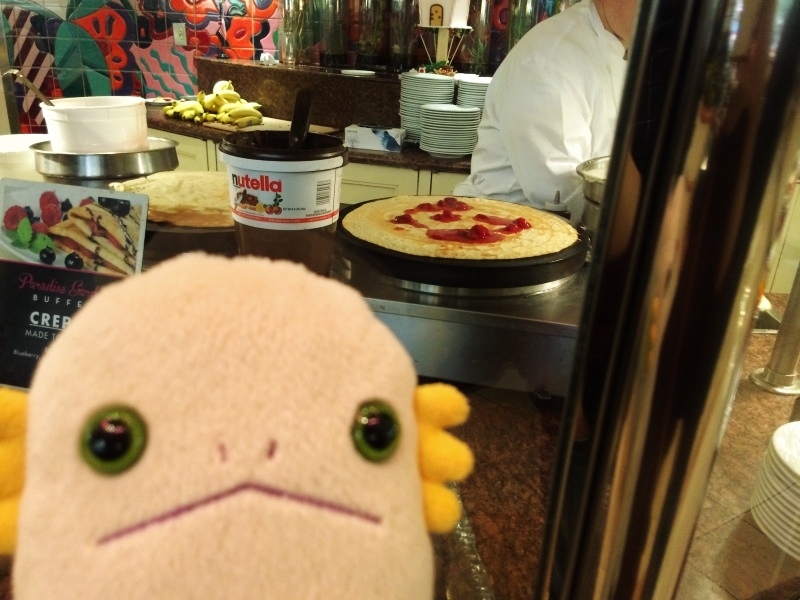 Alien could have a made-to-order crepe. Alien picked strawberry with whip cream. This crepe is thiner than yesterday's one. It was fresh and yummy, but not as thick and moist as Paris's.Paris probably uses a different flour and more eggs. Each one wasn't too sweet and yummy. Alien can't believe they are American cakes. Alien loved desserts here. Alien had another cake. This tiramis was also not too sweet and yummy. Each piece was a bit too big to try many kinds. 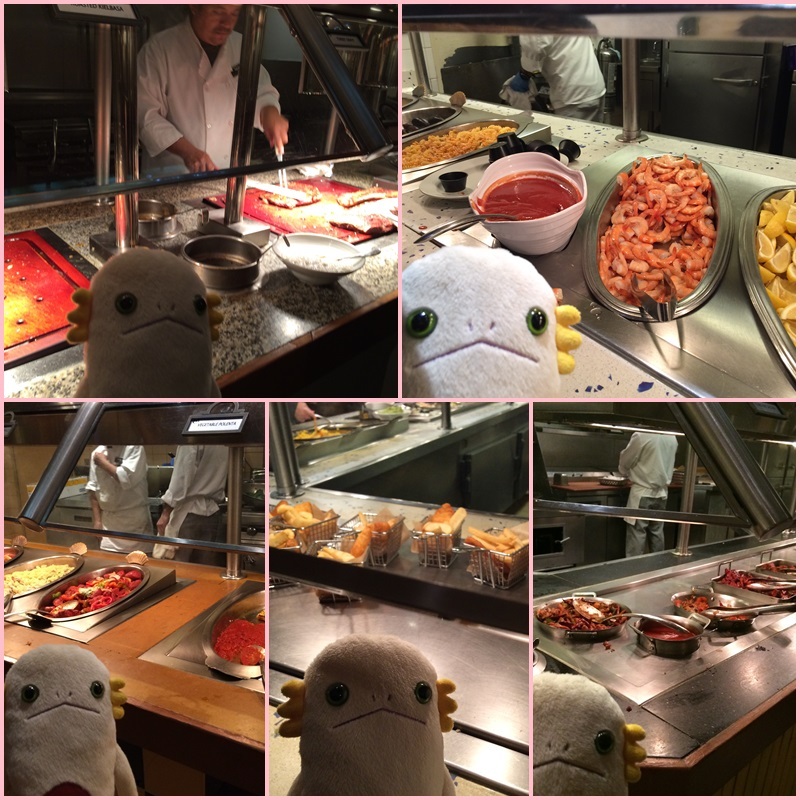 Alien's review: So many kinds of foods (Mexican, Chinese, Sushi, Italian, etc.) in a large place. Quality of each dish is high. 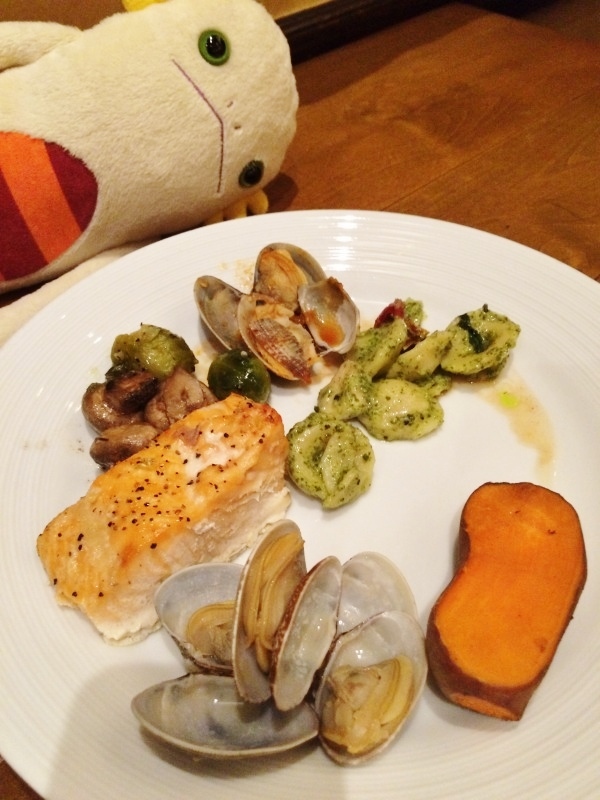 They have many dishes on small plates, which are easy and fun to pick. 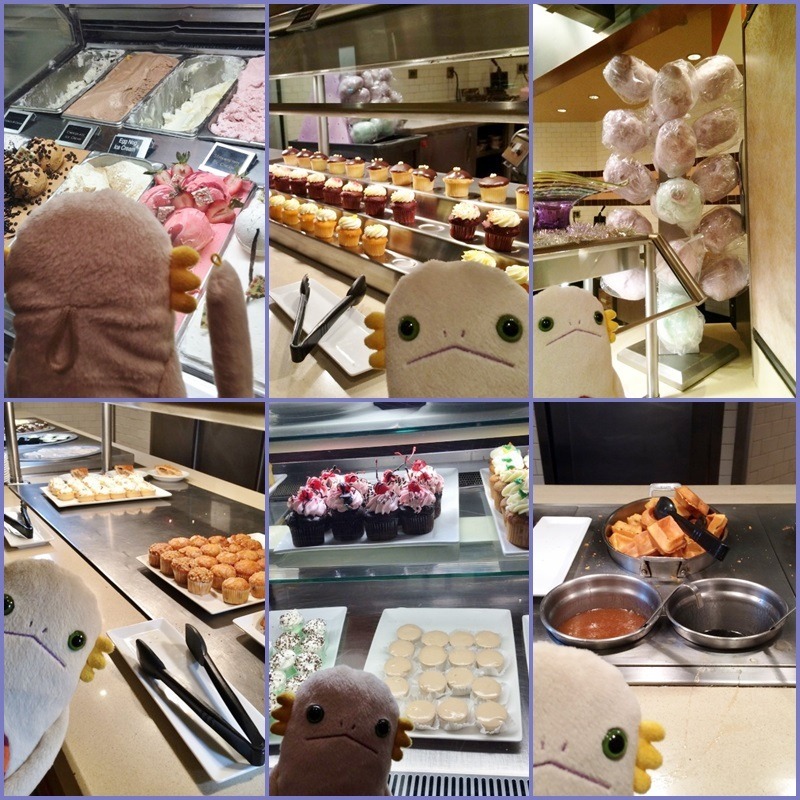 They also have many kinds of desserts, including gelato and cotton candy other buffets don't offer. 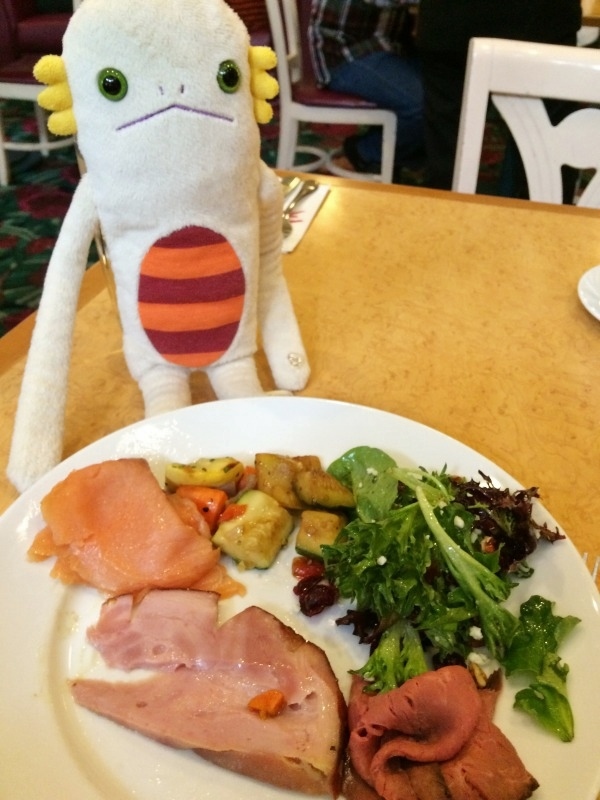 Well, Alien am not hungry yet since Alien had breakfast two hours ago ...but Alien must enter the buffet before the pass expires. Let's go. It wasn't busy since lunch time hadn't started yet. Lunch time has started after Alien entered. 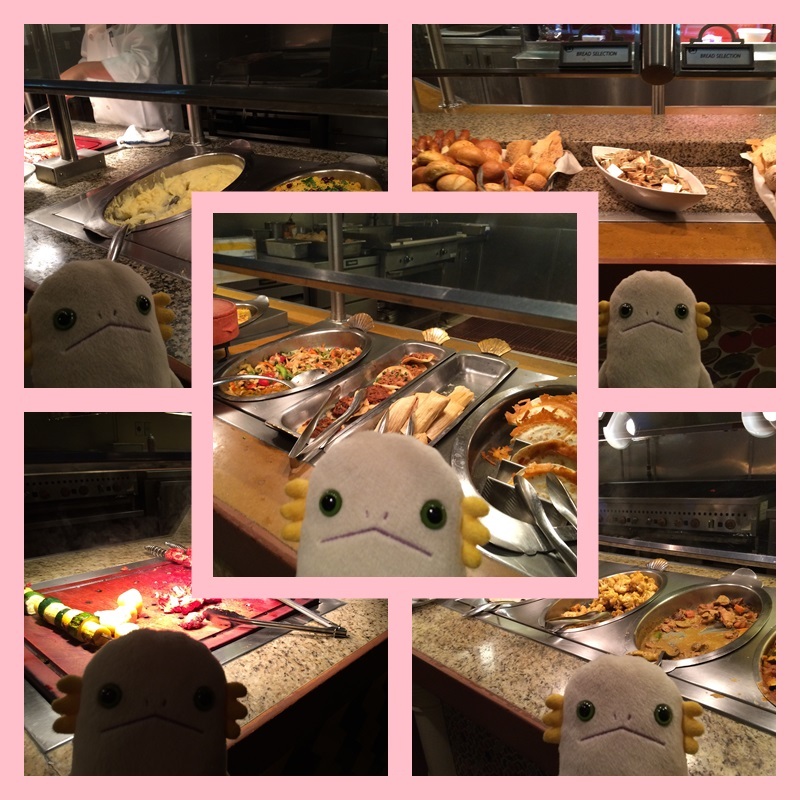 This is the fourth buffet...but Alien don't stop eating! Let's have a steak at the curving station. 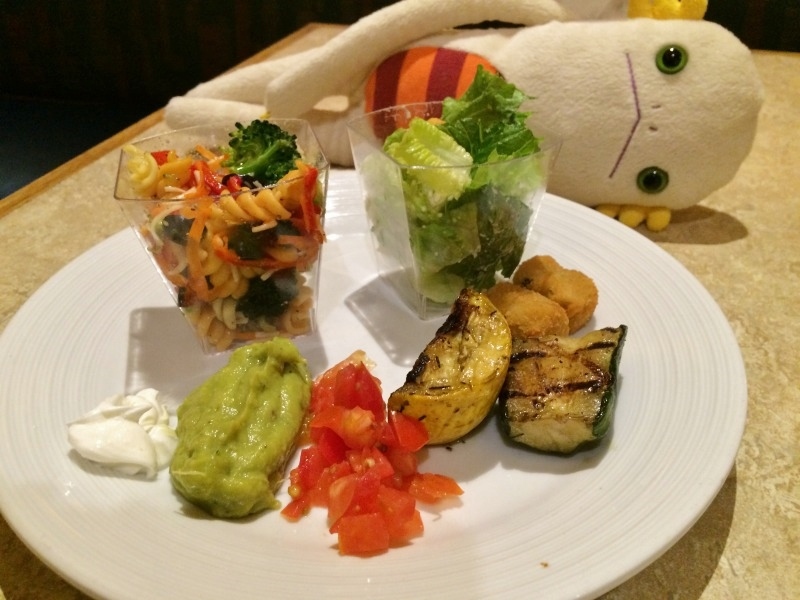 Alien loved the grilled vegs. They have many kinds of Chinese foods. Alien loved the sweet sesame ball. Alien liked the soup. Tasted like spicy tomato minestrone soup. 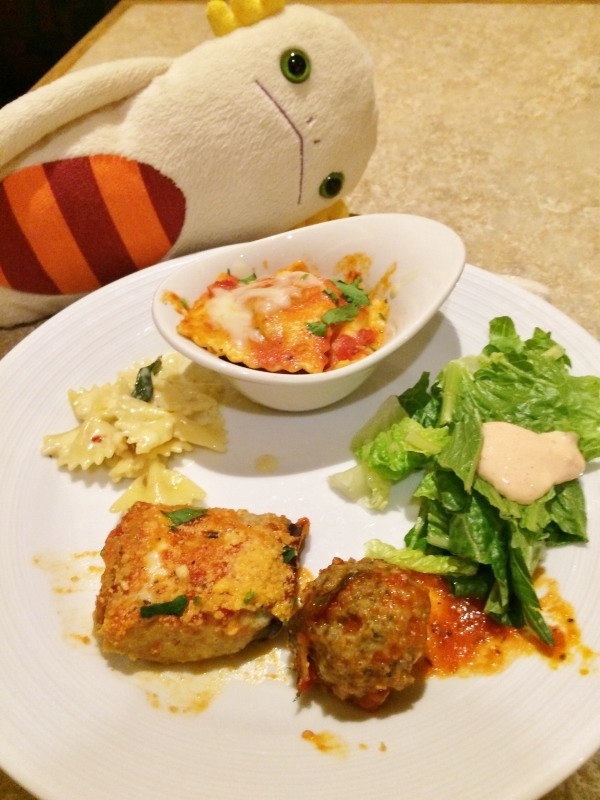 Alien made an Italian plate. 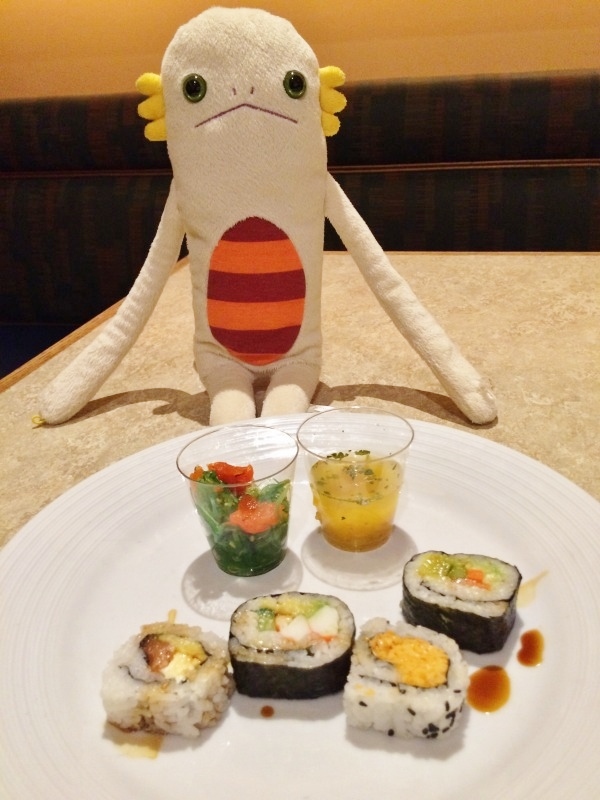 They were standard California rolls. Nothing special but yummy. Wow they have so many kinds. 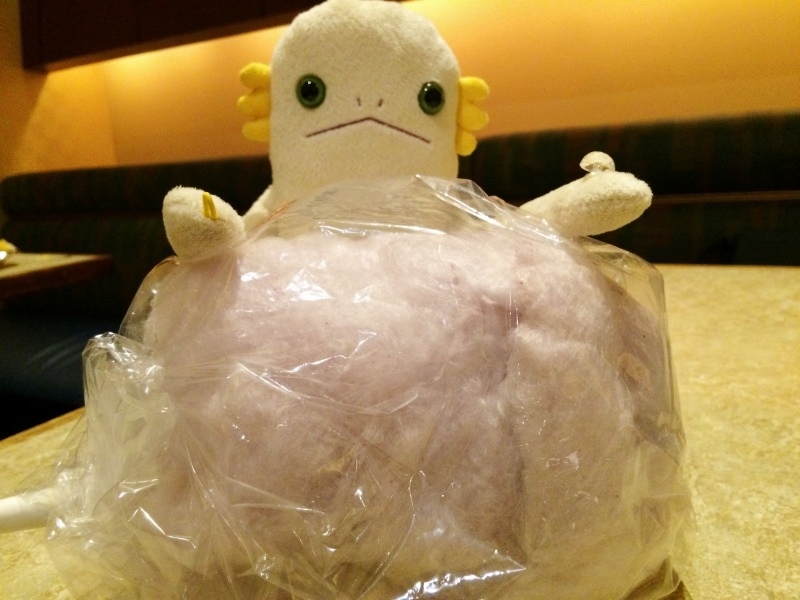 Cotton candy! 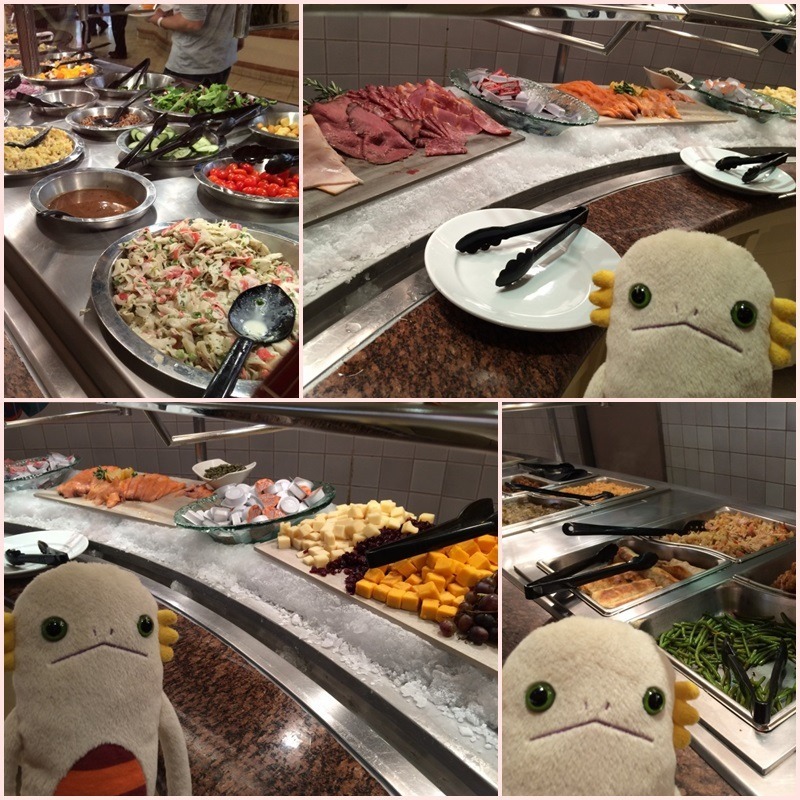 Other buffets don't have this. 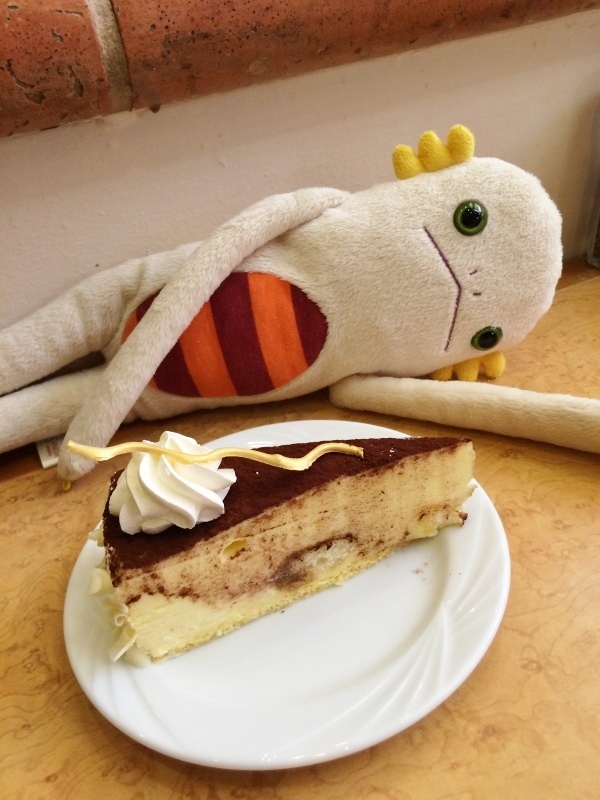 Alien am already full but want to try more desserts. The spade-shaped waffle was fresh, fluffy and crispy. Yum yum! The other desserts weren't too sweet and yummy. 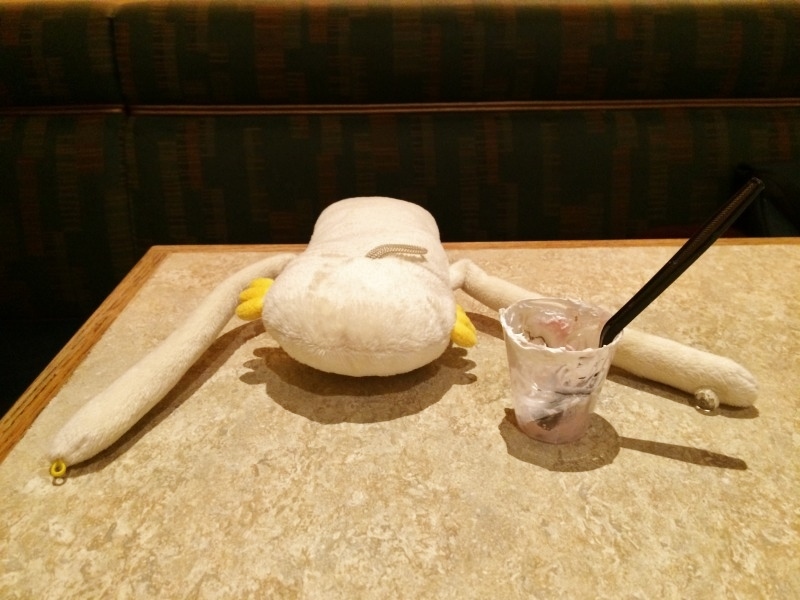 …Alien overate. It defenitly is Alien's new record of overeating. Alien had a super full belly.